Vermeil is 22 carat gold over sterling silver, which is rather nice to work with. Combines the look and feel of gold with the affordability of silver..
1 pair Vermeil Fish-hook style fittings with coil (gold plated Sterling Silver) earring wires for pi..
10 Vermeil 5mm Rondelle Beads. Great for spacers! Measure approx. 5x2mm. Vermeil is a..
10 Vermeil 4.2mm Rondelle Beads. Great for spacers! Measure approx. 4.2x1.5mm. Vermei..
10 Vermeil 3.5mm Rondelle Beads. Great for spacers! Measure approx. 3.6x1mm. Vermeil ..
2 Ball-Head Vermeil 70mm Long Headpins; these headpins measure approx. 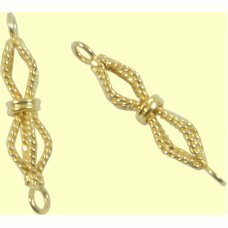 60mm, dia 0.5mm and the end m..
1 Vermeil Twisted wire Spacer, approx 22mm long.. Vermeil is a Sterling silver component plated wit..
1 Vermeil bead cap, heavyweight cap measures approx 12mm diameter x 7mm. 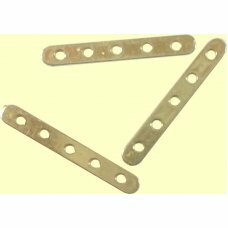 Vermeil is a Sterling silv..
1 Vermeil 5-Hole Spacer Bar - measures approx. 26 x 3 mm. Vermeil is a Sterling silver compon..
1 Vermeil 3-Hole Spacer Bar - measures approx. 16 x 3 mm. 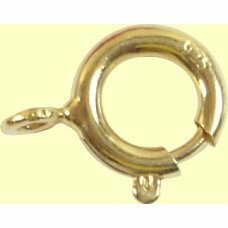 Vermeil is a Sterling silver compon..
One 10mm Vermeil bolt ring clasp with closed ring for stringing. Marked 925. Also known as spring ri..
Rose Gold Vermeil Bead Dangle, bead measures 7mm diameter Vermeil is a Sterling silver comp..
2 Light Rose Gold Vermeil 10mm Bead Caps Vermeil is a Sterling silver component plated with gold, u..
1 Vermeil 6x1.7mm Daisy Spacer BeadImage shows spacers in sizes 3, 4, 5 and 6mm Vermeil is a Sterli..
2 Ball-Head Vermeil Headpins; these headpins measure approx. 70mm long, dia 0.5mm and the end .. 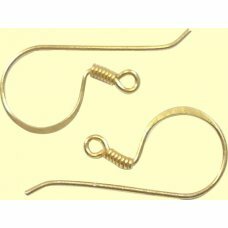 Pair Vermeil Curved Earwires, approx 10x20mm; sturdy construction, just add a wired bead or briolett..
1 Vermeil Twisted Wire Toggle Clasp Set; suitable for lightweight projects, the ring element of this..
10 Soldered Twisted Rope Vermeil Rings, approx. 7x1.1mm. Vermeil is a Sterling silver component p..
1 Vermeil S Clasp with End Rings the S measures approx. 16 x 6mm the rings measure approx. 6mm Ver..
½ Metre Vermeil 0.5mm wire, soft. Maximum continuous length 2 metres. 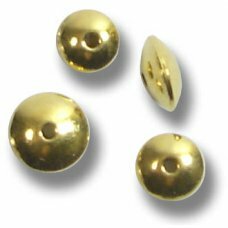 Vermeil is a Sterling silve..
10 Brushed Vermeil Flower Shape Beads with Top Drilled Hole measure approx. 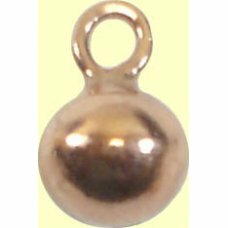 8 mm. Vermeil is a St..
1 Vermeil Brushed Effect Heart Toggle Clasp bar measures approx. 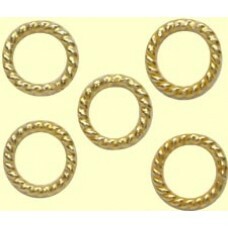 25 mm&nbspthe ring (heart) meas..
1 Brushed Vermeil Ruffle Spacer Beads measure approx. 8mm. Vermeil is a Sterling silver component..
1 Vermeil Flying Bird with Closed Ring and Loop - the bird has loops at either end and at the top th..
" 1 Pair Swirl Sterling Silver Chandelier Fittings with three loops at the bottom one on the top ..
1 Vermeil Bird Charm measures approx. 10 x 11 x 2.4 mm the ring measures approx. 6 mm. 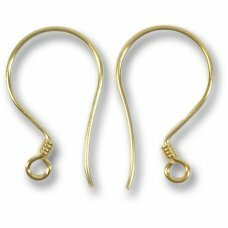 Vermeil is..
1 Vermeil Hook Clasp with rings lovely quality to this the hook element measures approx. 16x7x2mm t..
10 Vermeil Open (not soldered) Jump Rings measure approx. 6mm outside diameter 0.7mm thick. 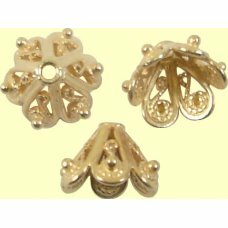 Vermei..
10 Vermeil 5x1.5mm Daisy Spacer BeadsImage shows spacers in sizes 3, 4, 5 and 6mm Vermeil is a Ster..
1 Vermeil Toggle Clasp measures approx 19x8mm bar is 20mm. 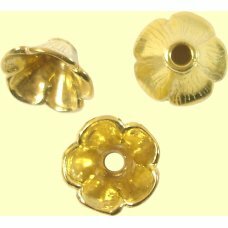 Vermeil is a Sterling silver component p..
10 Vermeil Daisy Spacer Beads, approx. 4x1.2mm.Image shows spacers in sizes 3, 4, 5 and 6mm Verme..
1 Vermeil S Clasp with End Rings the S measures approx. 18x8mm the rings measure approx. 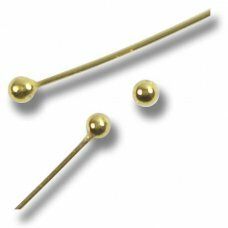 6mm Verme..
10 Ball Head Vermeil Headpins these headpins measure approx. 30mm long 0.4mm diameter and the ball e..
2 Brushed Vermeil Ellipse Shape Beads with Top Drilled Hole great for earrings charms etc these me..
VM-113, 10 Brushed Vermeil Triangular Ruffle Spacer Beads measure approx. 9 mm. 10 Brushed Vermeil Triangular Ruffle Spacer Beads Vermeil is a Sterling silver component plated wit..
"1 Vermeil Five Petalled Flower Charm with Jump Ring - flower measures approx. 15.5 x 12.5 x 1 mm th..
50 Gold Filled 2x2mm Crimp Tubes Vermeil is a Sterling silver component plated with gold, usually..
1 Vermeil Bird in a Cage Charm with Soldered Ring this flat charm would make a lovely dainty pendant..
1 Pair Vermeil Stud Fittings and Plastic Stops these stud earrings for pierced ears have a ring at t..
1 Vermeil Closed Soldered Ring measures approx 8mm diameter 1mm thick. Vermeil is a Sterling silver..
10 5X1mm Vermeil Closed (Soldered) Rings Vermeil is a Sterling silver component plated with gold, u..
10 Vermeil Open (not soldered) Jump Rings measure approx. 4mm outside diameter 0.7mm thick. 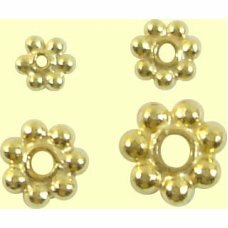 Verme..
10 Vermeil Daisy Spacer Beads approx. 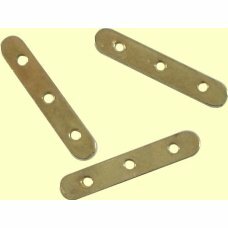 3x1mmImage shows spacers in sizes 3, 4, 5 and 6mm ..